- Cashboard (Germany): This Berlin-based startup allows users to enter their investment objectives into the platform and receive a diversified portfolio with one simple click. Portfolio management, rebalancing, loss protection and tax optimization are now done completely automatically 24/7. In terms of security, Cashboard cooperates with renowned banks where money is deposited and managed in a personal bank account with a licensed local bank. The service is completely free; users only pay a fair percentage of investment returns. - Flaviar (USA): The service offered by this company is aimed at aficionados of high-proof alcoholic beverages and provides curated boxes with 5 samples composed of all kinds of liquors, from American Whiskey to the finest French Cognacs. Afterwards, customers can order original sized bottles of their favorite liquors from the company’s website. From big brands or small batch distillers, anyone can taste, learn and decide what they like. - GetYou (Israel): GetYou is the first full social feedback platform. It shows how people truly perceive you, your content and your online persona. The platform aggregates feedback and uses it to create a new kind of profile - a crowdsourced profile built by others. The app offers a gamified way to discover new people and check your intuition, all while discovering how the world perceives you and breaking down stereotypes and preconceptions. - Roomlr (Netherlands): Roomlr is a globally active meta-search engine for accommodations in every price category. Unlike similar providers, Roomlr only acts as a broker for rooms reserved via third parties. This way, the company can already offer more than 1.2 million accommodations of all kinds around the world. - SquadRun (India): SquadRun is a mobile marketplace. It helps businesses outsource micro-tasks that require human intelligence. From the user side, SquadRun is a gamified app that allows anybody with a smartphone to make money on a per task basis. Under the slogan “Get paid to play,” this India-based company offers a platform that gives companies and individuals the opportunity to advertise various tasks online, which can be performed by other users for a fee. - Showroom (Poland & CEE): offers personalized fashion from up-and-coming Polish designers, as well as worldwide labels, at www.showroom.pl. Showroom is the biggest Polish curated marketplace fully focused on independent fashion. - Pico (USA): Pico collects pictures that were taken by your friends during any lifetime occasion into one collaborative, real-time album. The technology seamlessly collects the pictures people are taking, in real time, into one cohesive social network album. Users continue to take pictures with their regular camera application, and Pico does the rest. Private use (collecting pictures to a Facebook Profile) is free. You can use it in any occasion you want to collect pictures in. Commercial use (collecting pictures to a Facebook Page) is charged by the picture. After presenting their pitches, the startups will be challenged by the high-caliber jury composed of the following internet experts, VC’s and entrepreneurs: Philipp Freise (Partner, KKR), Anil Hansjee (Chief Investment Officer, Modern Times Group & Business Angel), Sonali De Rycker (Partner, Accel Partners), Deven Parekh (Managing Director, Insight Venture Partners), Gilad Novik (Partner, Horizons Ventures), Michal Sadowski (Co-Founder & CEO, Brand24). However, a seventh decision maker will be included to the expert jury: The online audience. People all over the world can watch the SevenVentures Pitch Day via live stream at www.7vpd.com and on Facebook. Using the voting app, users can select their favorite startup and influence the outcome of the contest as the seventh jury member and select the winner of the Pan-European Media Prize. “7VPD has become a fixture of the European startup community. We are delighted that so many creative business ideas from all over the world will be presented on stage at 7VPD this year. We are also eager to see who will win the contest, and thus get the opportunity to promote their product or service on our media outlets in the European market,” said Dr. Christian Wegner, Member of the Executive Board Digital & Adjacent of ProSiebenSat.1 Group. 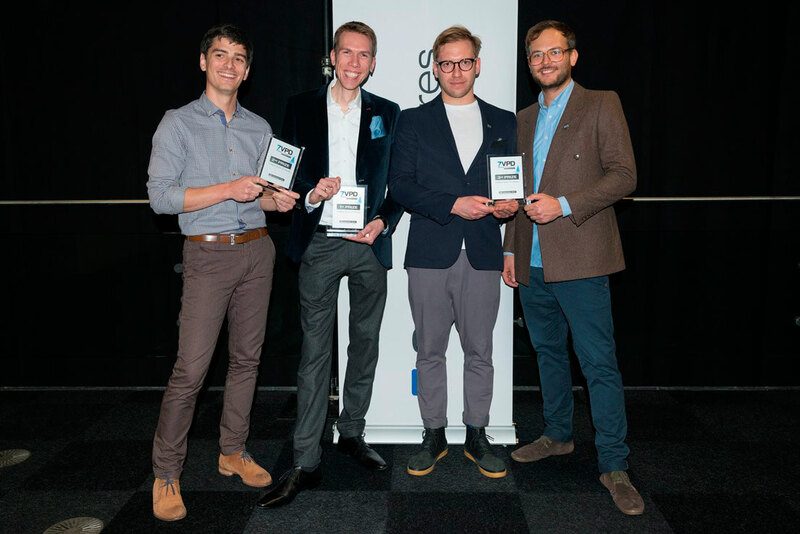 SevenVentures initiated the SevenVentures Pitch Day in 2012, in order to support company founders and startups in making a breakthrough in the German market, followed by the European market. This concept has already proven to be successful with the previous winners “busuu” in 2012 and “GetYourGuide” in 2013. The 7VPD will take place on November 13th, 2014. It will be broadcasted live at www.7vpd.com; the voting link for the Pan-European Media Prize winner is now open and will close after the 7VPD is concluded. You can follow 7VPD on Facebook and Twitter. SevenVentures is the venture arm of the ProSiebenSat.1 Group, one of the leading media companies in Europe and Germany’s largest TV network. SevenVentures essentially bundles companies and startups that can grow with the support of ProSiebenSat.1, as well as majority holdings in strategically significant companies. Besides investments in TV advertising time, SevenVentures can also draw on an in-house ecosystem with its creative agency and the Booming digital agency, enabling growth companies to carry out integrated advertising campaigns using TV as the lead medium. With numerous investments in different market segments, SevenVentures is the leading media investor in Germany.